A Telugu symbol is causing apps on iOS to force crash repeatedly and when received as a notification, can cause bootloop error as well. Internet trolls have embedded it into their user handle and are exploiting this vulnerability. A new bug affecting iOS, watchOS and macOS devices was discovered recently, which causes app crashes and bootloop errors on iPhones. This happens when a Telugu Unicode character is sent as a message or even pasted in the smartphone’s Label, TextField, or TextView. Some users on Twitter and Facebook have already started misusing the vulnerability and are adding the special character to their tweets. This is causing an uproar from inconvenienced users, whose smartphones have crashed/bricked as a result, on Twitter, Facebook and many other social media platforms. As per a TechCrunch report, many tweets saying “read this to log off instantly” and “retweet this to crash anyone using an Apple device,” have popped up in the past few days. Also, even if the character is present in someone’s user handle, who replies to or likes a user’s tweets, then it can cause the crashes and as mentioned earlier, a bootloop error. Facebook is also barring users from posting the Unicode-based character. The social media site says, “Posts that look like spam according to our Community Guidelines are blocked on Facebook and can't be edited.” As per reports, an app crashing due to the bug won’t launch again as it keeps crashing on a loop and in order to fix it, one needs to reinstall it without any previous data. One possible method of evading the bootloop problem is to turn off notifications, however, launching the app, which has received the symbol, will most likely crash it. The issue is quite serious as when the Unicode character is received as a notification, it can cause Springboard to crash and restart. 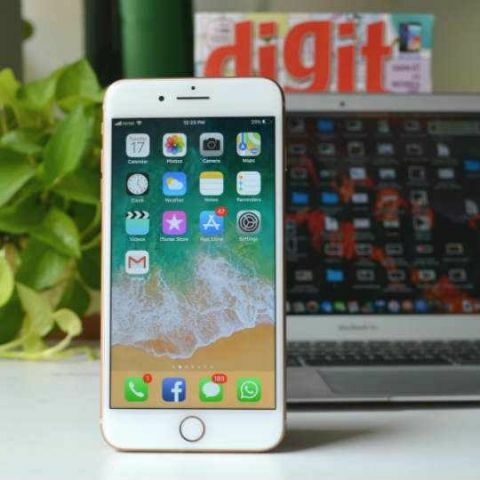 If an iPhone restarts while Springboard is recovering, it can be bricked by entering into a bootloop and it needs to be reset by reinstalling the OS in Device Firmware Update (DFU) mode. The bug apparently effects WhatsApp, Twitter and other third party apps as well and Apple is reportedly aware of the bug and is working on a fix. However, the latest public beta version of iOS 11.3 is said to be unaffected by the issue and the company is working on a patch for watchOS and macOS as well. You can read more about the Telugu character bug here.